After Shinobi Ninja FrostWire’s rock Mixtape was received positively by the FrostWire/FrostClick community, Dave “Doobie” Aaron (Shinobi Ninja’s vocalist/guitar) contacted us to share one of his solo works, Doobie, a short and sweet 5 track album on which Dave plays fretless bass, no guitars and an amazingly creative recording process which created tracks that you will be playing over and over. The Doobie album is one of seven solo works by Dave “Doobie” Aaron a.k.a Duke Sims. Dave is a Brooklyn native who started his musical career in New York’s public schools. As a young musical prodigy he started playing the Saxophone all the way from 3rd grade to 9th grade, at which point life events forced him drop out of school but music became his refuge. He began playing the guitar, writing songs, playing shows, and spending time in recording studios where he met his friends, which became Shinobi Ninja 7 years ago. 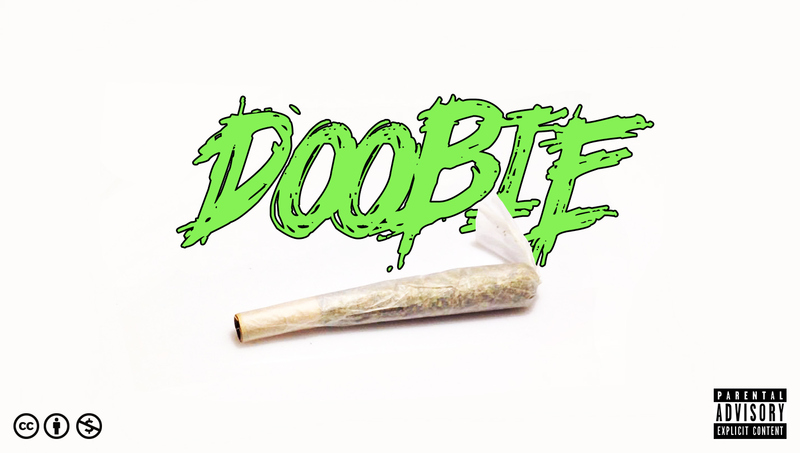 The nickname “Doobie” was coined by his mom and didn’t really have nothing to do with cannabis, however, as Dave grew he confesses he did smoke a lot of it and the nickname stuck. This album was produced with an incredible amount of improvisation and display of musical genius by everyone involved. The process consisted in Dave recording the fretless bass melody on a separate track without the rest of the musicians ever hearing the songs. Dave then met with Glenn Grossman, a brilliant drummer who played with Bob Dylan and who is always involved with Dave whenever he creates music outside of Shinobi Ninja. When you hear the drums in the album, you’re hearing Glenn play as he heard the bass track for the first time, no second takes allowed, Dave pressed play and then started recording Glenn. On the track “D.R.E.A.M”, Dave wrote the words “Determined, Ready, Everyday, Always, Motivated” on a board, and asked his friend Hersh to freestyle the lyrics with these words in mind, once again, no second takes allowed, the resulting track is my favorite one in the album and I can’t get enough of it after over a month of hearing it. None of the songs in the album have guitars to give it a more surrounding by eliminating the overwhelming frequencies guitars create in the mix. Make sure to play it with good headsets or sound system to enjoy what this album has to offer to its fullest. After talking to Dave, learning about him as a musician and artist (and FrostWire also being a Brooklyn born initiative) we thought it made sense to drop by Dave’s and interview him to learn about his career, the Doobie album creative process and how things went with the Shinobi Ninja promotion. With Dave’s interview we’re piloting an initiative called “INDIE SWARM”, a Creative Commons licensed production by FrostWire on which we try to connect the would-be fans of indie works promoted on FrostWire with their creators through an informal interview. 1. Candle in the Sky. 2. The God of the Sun. 5. The Lonely Road of Mr. Lo.